The landmark 8th Theatre Olympiad for benchmark artistic quality of the theatrical productions trailing widespread acclaims and significant hype, some with star power—has certainly left behind an intangible legacy in terms of enriching winter capital’s culture and the community, invigorating local theatre groups, and hopefully to some extent adding a new window in critical literacy of artists and audiences. 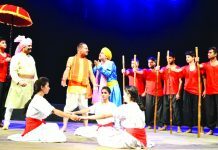 Organized by National School of Drama (NSD), New Delhi, the global theatre festival, held for the first time in India Feb 17 to April 8, 2018, was hosted in 17 cities that include Agartala, Ahmadabad, (JKAACL) Bangaluru, Bhopal, Bhubaneswar, Chandigarh, Chennai, Delhi, Guwahati, Imphal, Jaipur, Jammu, Kolkata, Mumbai, Patna, Thiruvanan thapuram and Varanasi. The Jammu Chapter of Theatre Olympiad co-hosted by J& K Academy of Art, Culture and Language (JKAACL), from March 22 to April 1, 2018, was inaugurated by Naeem Akhtar, Minister for Public Works, in presence of Aziz Hajani, Secretary, JKAACL, and eminent theatre director M.K. Raina at city’s premium theatre space, the Abhinav Theatre. 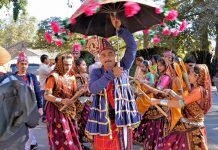 During the 11-day cultural bonanza in which eleven groups—one each from Nepal and USA, and nine from different parts of the country such as Mumbai, Begusarai, Jaipur, Bhopal, Manipur, Bangaluru, staged shows as per the calendar. Under the overall supervision of Abdul Latif Khatana, senior faculty, NSD, coordinated by Rakesh Singh, and tastefully decorated by Kachoo Ahmed Khan, both sons of the soil and NSD graduates, an atmosphere of carnival informed Abhinav Theatre complex for eleven days. As on sideline of staging of plays in the auditorium an array of additional events were also held in K.L. Saigal Hall, and its sprawling lawns. 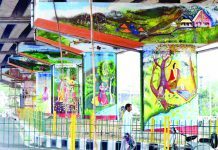 These included ambience folk performances, street plays by local groups, and special programs with eminent personalities such as Prof Ved Kumari Ghai, Moti Lal Kemmu and M.K. Raina under ‘Meet the Living Legends’ series. The honor of being truly exceptional offerings of the festival in terms of innovative treatment of form, technique and universal relevance of the content, could easily go to American play ‘The last One’ by Gema Galiana, Ratan Thiyam’s brilliant Manipuri adaptation of ‘Macbeth’ and Garish Karnad’s Bikhre Bimb. The highlight of ‘The last One’, an intensely theatrical piece, was its avant-garde coalescing of elements of different performance genres including physical theatre in a unique amalgam of dance and corporeal mime. With minimum text, and inventive use of props like the ladder; the suspended buckets, stones blocks, succeeded in communicating at the visceral level, the play’s theme of destruction and preservation. Ratan Thiyam, country’s leading auteur director, clearly stamped his ingenuity in his avatar of ‘Macbeth’. 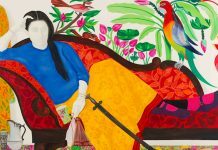 Designed as a gestural, symbolic and highly stylized production, with distinct feel of Akira Kurosawa’s cinematic presentation of Japanese’s medieval samurai culture, the play exuded grandeur typical to South-Asian martial high cultures. True to the famous quote that God resides in details, Ratan Thiyam’s all encompassing artistic vision manifested itself in individualizing actors’ movements, stances, gait, costumes, headgears, ornaments, costumes, props, background score and songs along with brilliant light design as an artistic amalgamate which made Macbeth a stunning visual spectacle where the content almost plays second violin to aesthetics. Another play of note was Banglore Ranga Shankara’s Bhikre Bimb. Written and directed by Girish Karnad, it has been heralded for its powerful story that brings to fore the complexities and underplays of hierarchies between the Indians writing in English and those writing in regional languages. The play’s highlight was Arundhati Nag’s stellar performance as the real and the virtual TV image. The use of technology in form of multi-media on the stage that seemed to blur the boundaries between the real and the virtual emerged as a symbolic take on present day technology driven life. 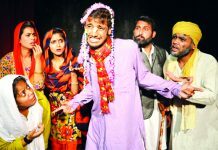 In contrast to cash strapped local groups whose play-designs are conspicuous for avoidance or minimal use of large sets, the plays like Chanakya, The Diary of Anne Frank, Oondra, Jungle Mein Khulne Wali Khirki, Namaste Jai Shree Krishna, Barff, Gabarghichor boasted of elaborate sets with a plethora of props. This reflected upon the vital aspect of theatre economy. 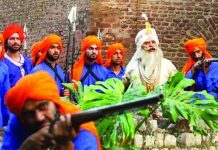 The message however for the local groups was to observe and learn from the clever and well thought out design of actor’s movements, groupings, placements so as to affect the maximum use of the ostensibly crowded sets. Manoj Joshi’s Chanakya, with its powerful dialogues supported by equally commanding performances by the entire cast, was savored by audience as an intense experience wherein the 160 minutes of play seemed to pass in the twinkling of an eye. 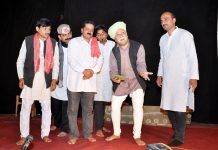 The play Gabarghichor in Bhojpuri/Maghi, for its earthy feel, was a shining example of indigenous theatre idiom ‘Bidesiya’, called after a play by the same name by 1887 born playwright Bhikhari Thakur. Incorporating elements from Ramlila, Rasalilia, Birha yatra and other native performative elements molded it into an idiom that proceeded the later day ‘Theater of Roots’. Nadira Babar’s Salaam 1950’s Ke Naam was a nostalgic piece which avoided any set whatsoever. It was a dance/song ensemble where the verses of lilting musical melodies of yonder years furthered the play’s plot more like a racy ‘Geeten Bhari Kahani’. One of the significant events of Theatre Olympiad was the opportunity to interact with play’s director after staging of play. 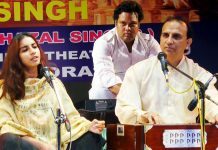 Conducted by well known local theatre personalities such as Ravinder Kaul, Mushtaq Kak, Deepak Kumar, Lalit Gupta and Balwant Thakur, these interactions came out to be lively affairs in which other than the members of the local theatre community, the audience also participated enthusiastically. 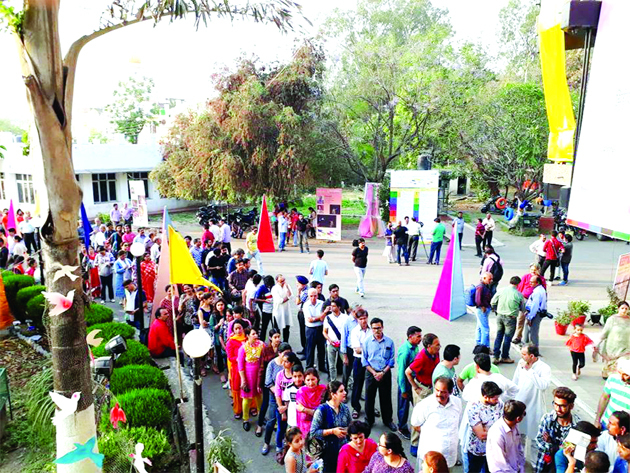 Although all participating theatre groups impressed by the enthusiastic response by winter capital’s theatre aficionados, showed their desire to visit Jammu to stage plays in future also, the organizers of Theatre Olympiad had to work hard during the fest to put in practice the strict guidelines that define theatre etiquettes world over. The welcome steps to inculcate theatre etiquettes among the local theatre attendees and the media personals included loud and clear instructions to the unbridled tribe of Jammu’s photo-journalists not to use the flashlight and approach the stage for close-ups. The spectators, who are otherwise used to enter any time in the Abhinav Theatre from the lower gate that leads to the front rows, were made to stand outside in queue before opening of the auditorium, and then allowed only through by the upper gate. In addition there were gentle but emphatic reminders to the spectators to switch off mobiles by volunteers who did a commendable job in hall management. 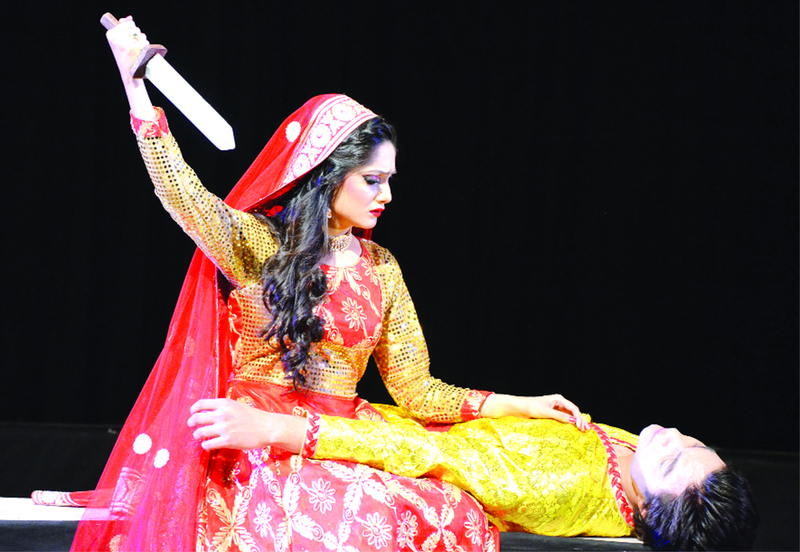 In order to make the audience sensitive towards the code of theatre etiquettes, and taking Theatre Olympiad as a starting point, it is the bounden duty of all local theatre groups and officers of J&K Cultural Academy, Manager and staff of Abhinav Theatre, to sensitize theater attendees—to be more quiet, to be more careful not to make noise as performers who are entertaining you are doing so live and in person, so it’s important to be respectful to them as well. The Theater Olympiad will be long remembered for the cutting edge quality of theatrical productions, stamped with directors’ vision, actors’ prowess, and infectious commitment and dedication of all members of production teams. 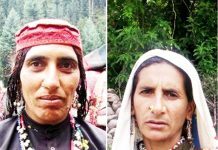 Above all for the traces it has left by raising the bar of artistic standards for J&K theatre practitioners to emulate and only to transcend them for making theatre as a true medium of social critique as well as of human binding.